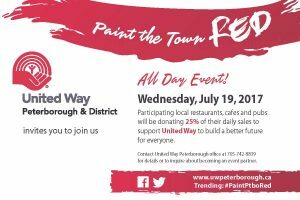 Paint the Town Red – July 19th! 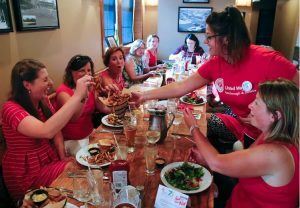 Join us for the 5th annual Paint the Town Red event on July 19, 2017! Participating restaurants, cafes and pubs will be donating 25% of their daily sales to support United Way Peterborough & District to build a better future for everyone. Join our FB Event Page to stay up to date on what’s happening! 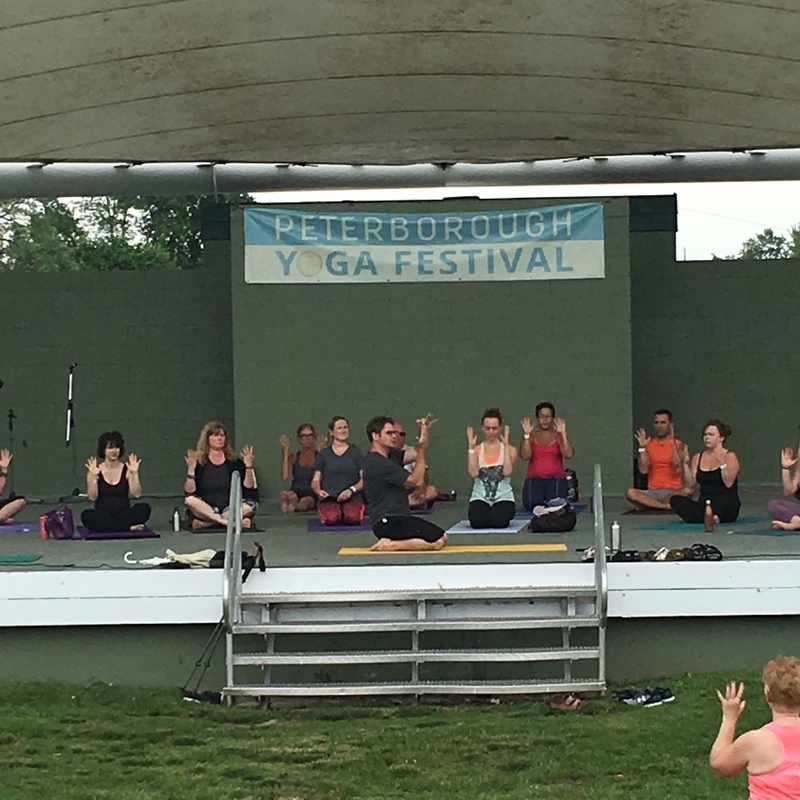 Thank you Peterborough Yoga Fest 2017 ! 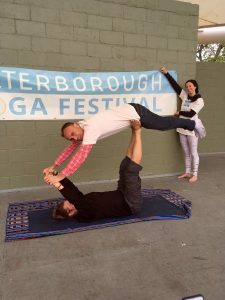 We would like to extend our sincere thanks and to the organizers of the Peterborough Yoga Festival and their volunteers. Their dedication to our community is inspiring and we are so grateful for our partnership! All the dollars raised from the event stay local and help increase community health and wellness. 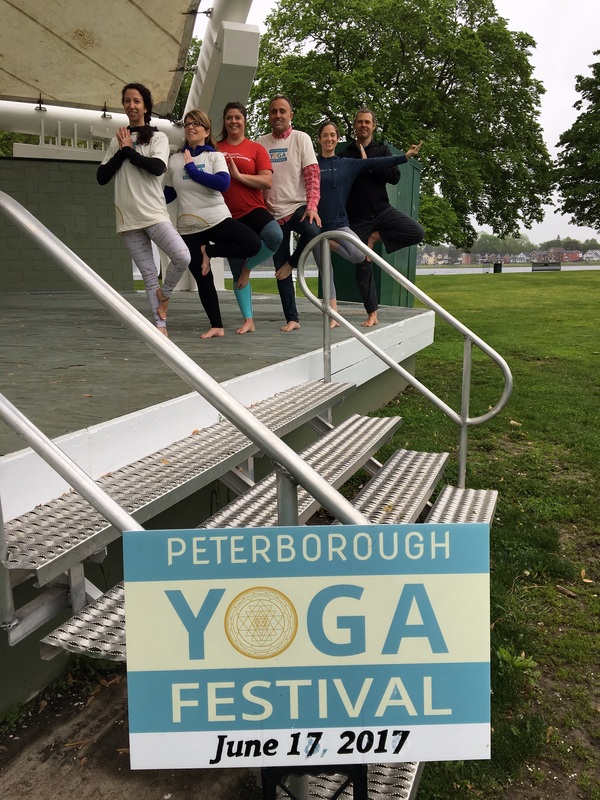 Stay tuned for an announcement of the dollars raised from the third annual Peterborough Yoga Festival! Are you considering a teacher’s gift and stuck on how to say thank you for a great school year? Consider giving your child’s teacher the gift of giving back. Purchase a backpack full of school supplies for $15 in support of United Way Peterborough’s Back Pack for Kids program. The teacher will be given a certificate in their name and in September, this backpack will be given to a student in need to ensure they are ready to learn with a backpack full of school supplies. Sometimes the best way to show gratitude to someone is to pay it forward. 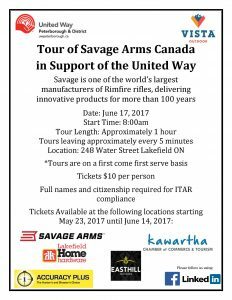 For more information or to purchase a Backpack, call United Way Peterborough at 705-742-8839 x32 and ask for Stephanie. 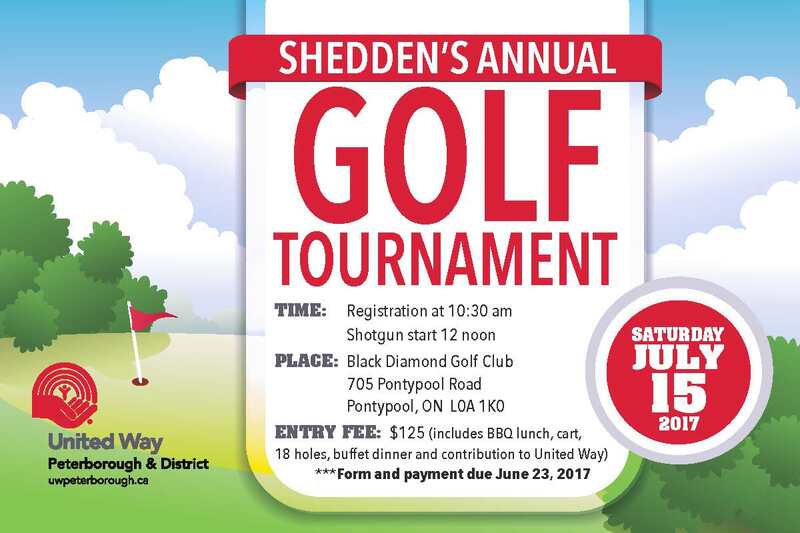 United Way Peterborough & District presents: The Shedden Annual Golf Invitational! 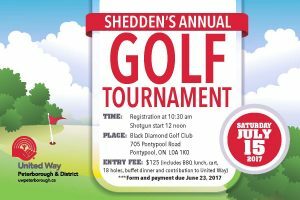 Saturday, July 15th at Black Diamond Golf Club. This inclusive tournament is open to pros and those just dipping their toes into the game. Please fill out and return Registration and General Information Fillable Form with payment by June 23rd to aoreilly@uwpeterborough.ca or drop off at our office (277 Stewart St. Peterborough). Looking forward to seeing you July 15th! PETERBOROUGH, ON – Excitement is building as the 3rd Annual Peterborough Yoga Festival approaches. The Festival is set for Saturday, June 17th at Del Crary Park, alongside Little Lake in downtown Peterborough. The Festival features a full line up of unique classes. Attendees can explore and enjoy the day as they feel comfortable. The festivities begin at 7.am. with a communal sun salutation. 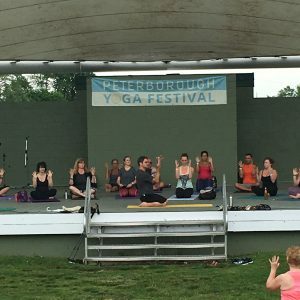 Yoga and meditation classes, workshops, a kid’s tent, wellness garden, and expanded yogi market will also be included in the daylong celebration. 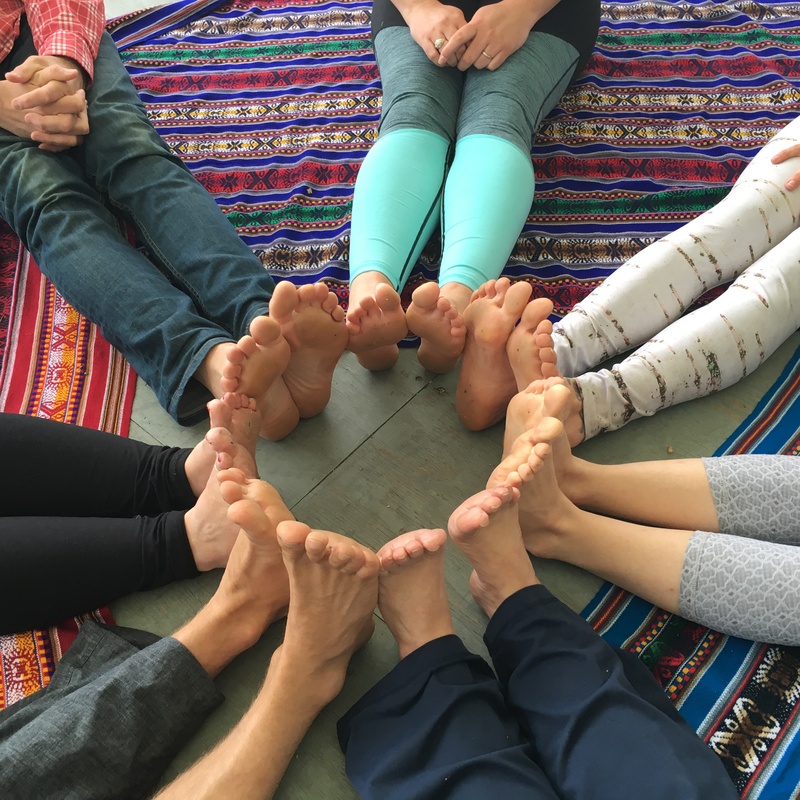 “We are so grateful to the organizers for their continued hard work in ensuring another successful Yoga Festival this year. We are so proud of our partnership” Gushes United Way’s Aimee O’Reilly, committee liaison. Nicholson-Smith stresses the importance of the inclusiveness of the event. “There is absolutely no previous yoga experience required. This is a day for everyone and all are welcome to come and discover Yoga and Meditation in a really down-to-earth, back-to-nature, non-intimidating environment,” she states. The event doubled in size from the first year to second, with another large increase expected this year. Tickets can be purchased for $20 in advance or at the door for $25 and kids under 16 are free. 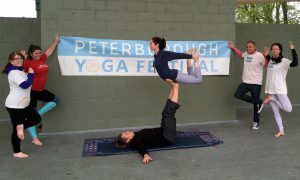 For information on purchasing tickets or full schedule of events visit peterboroughyogafestival.com.